Yep, I Googled. I admit it, we all do it, and I&apos;m so glad I did. Mostly because I can&apos;t accept there may be a delicious cocktail I have not tried. Today that oversight ends. 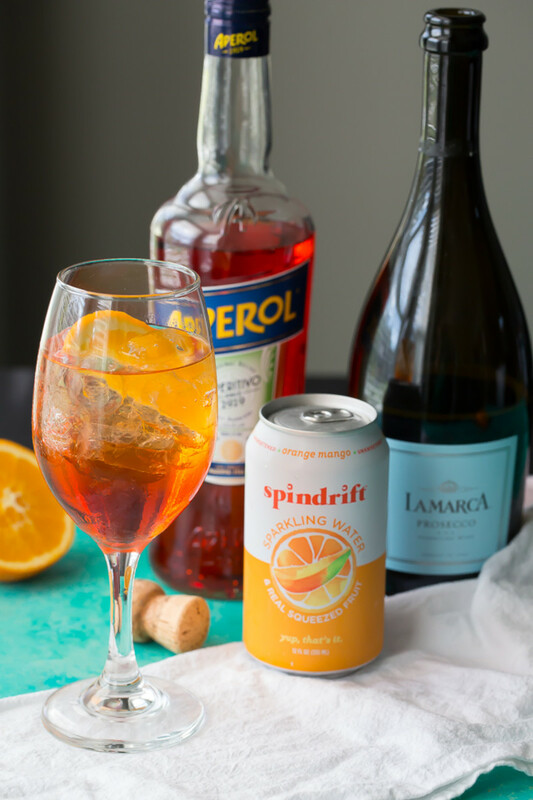 I&apos;m sharing a delicious spin on the Aperol Spritz that includes Spindrift sparkling water. 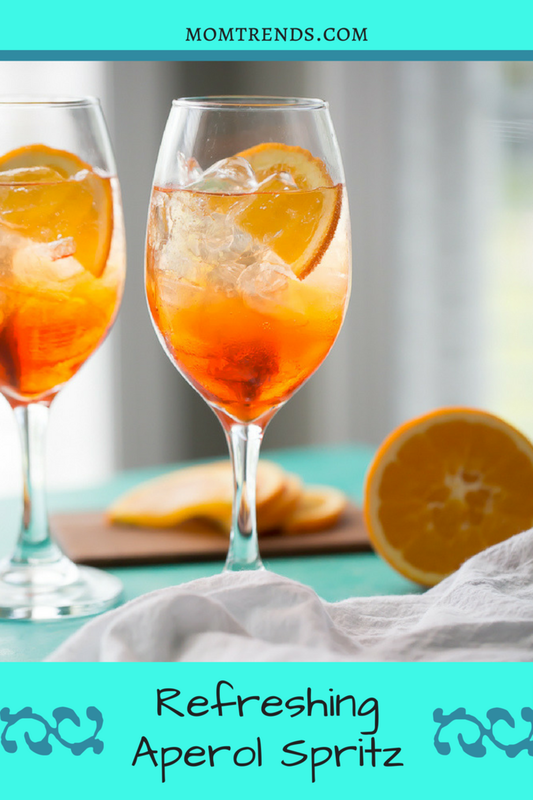 The orange mango flavor pairs perfectly with the orange rhubarb Italian liqueur. One of the things I have come to love about the cocktail is that it&apos;s not supersaturated with alcohol. So, I can sip generously, and I do not have to feel guilty for enjoying a second glass. Simple and delicious, you really must give this classic cocktail a try! Go ahead, call your girlfriends and schedule some time to relax and catch up. Make this your signature cocktail of the evening, and you&apos;ll be so glad you did! Fill a large red wine glass with ice. 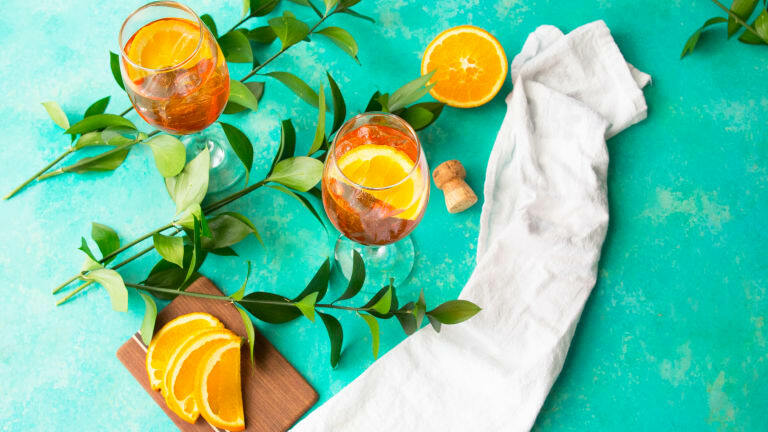 Add Prosecco, Aperol, and sparkling water. 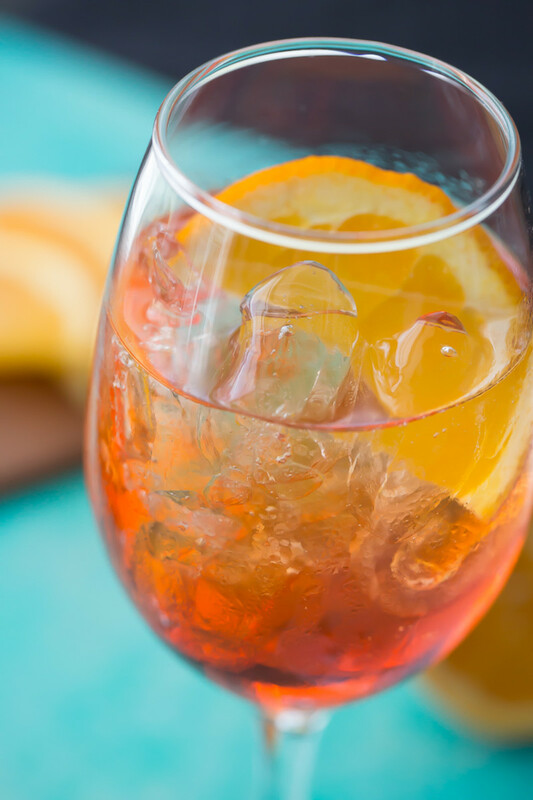 Give the glass a quick stir and garnish with an orange slice. Serve and enjoy immediately. Remember, sharing is caring! Be sure to check out these other refreshing cocktails too: Coconut Lime Spritz, Bourbon Peach Thyme Sweet Tea, and Pina Colada.